Trusts - Kinsey Law Group, P.C. Trusts are estate planning tools that allows one or more persons (the Trustees) to hold and manage property for the beneficiaries of the Trust. If the Trust is created by your will, it is called a Testamentary Trust and it is created after your death. If the Trust is created while you are alive, it is called an inter vivos or Living Trust. There are different types of Trusts that serve different purposes. 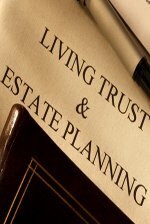 Your estate planning attorney will be able to educate you about Trusts and recommend the best estate plan for you. Normally, you will serve as trustee of your trust or you can have one or more responsible individuals, a bank’s trust department, or an independent trust company serve as trustee. It’s totally up to you. If you need to have someone else manage your property and pay your bills in case of illness, the Living Trust is a good arrangement. Avoiding probate which can save some time and money. Because a Living Trust is not filed in Court, its provisions are private. This differs from a Will, which must be filed with the Probate Court and becomes a public document. Compared to a Will, there are usually more initial costs in setting up a Living Trust. This is because a Living Trusts generally requires more extensive and complex drafting. Another disadvantage is the time needed to assure the proper “funding” or re-titling of probate assets in the name of your Living Trust.